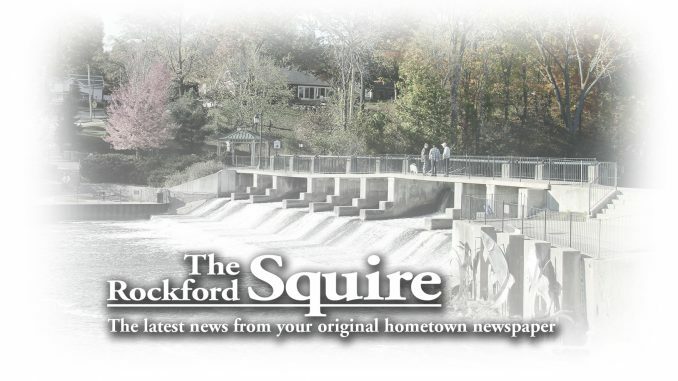 ChoiceOne Bank recently donated 45 computers to Love INC of Newaygo County. 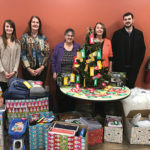 The computers were given to support Love INC and their commitment to helping those in the community succeed by fulfilling unmet financial needs. Loading donated computers onto a truck are (l–r) ChoiceOne Bank AVP Network Administrator Paul Tucker, Michael McHugh of ChoiceOne Bank (SVP, accounting, sales and marketing), and Love INC volunteers Devon Dean-Dominguez and Phil Starr. Love INC will offer families taking their financial management classes a free computer as well as offer free computers to partner churches. 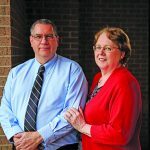 “With such a large computer donation, not only will families in need benefit, but some of our partner churches will benefit as well. We can accomplish so much when we work together,” added Zimmerman. Love INC is a national ministry carried out by more than 9,000 churches in over 135 affiliates across the United States. 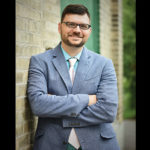 The congregations and community partners that make up each affiliate are addressing serious unmet needs in their local area. Love INC reaches out to these vulnerable community members, providing tangible assistance, encouragement and hope. ChoiceOne Bank is a full-service financial institution with offices in Kent, Ottawa, Muskegon and Newaygo counties. 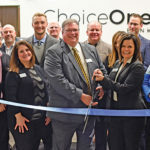 ChoiceOne Bank offers insurance and investment products through its subsidiary, ChoiceOne Insurance Agencies Inc. ChoiceOne Financial Services Inc. is the holding company headquartered in Sparta, and the parent corporation of ChoiceOne Bank. For more information, please visit ChoiceOne’s website at www.choiceone.com.